April 1, 2012 – Tomorrow is the start of another NaPoWriMo. A couple years ago, I opened NaPoWriMo with an acrostic. Then I closed with another acrostic at the end of the month. April 30, 2012 Here’s to a successful NaPoWriMo 2014! Happy Writing! Ref calls for photo finish. April 23, 2010. The prompt write a poem as a speaker announcing a sporting event. My oldest, Rachael, was in track and field back in sixth grade. This was about the first race she won. I just showed her the poem. She said, I blew past her there was no need for a photo finish. Poetic license. It sounds better as a close second. Three more days until my fourth poetry marathon. April 19, 2011. I didn’t sign up for NaPoWriMo but I was still writing poetry. Here is the birthday present for my dad. My Little One, trailing behind, is six decades younger than her Grandpa. I thought this made a great picture to accompany the poem. In one more week my Little One will be 13! Two weeks later Grandpa will be celebrating his birthday. April is full of birthdays, poetry and AIMS (standardized testing in AZ). Way to go, Rachael! She is doing so well in school, they will be paying for her to take 4 courses at the college both semesters her junior year. She really wants to graduate high school with her AS degree. It looks like this may be a possibility. The prompt for the poem last year was to write an Ae Freslighe and to include a body part. I submitted the above version, explaining the brain was the body part. But later I thought it might be fun to play with the homophone. After all it is math and you measure feet in math class. April 4, 2012 The prompt for this besides writing an abecedarian was to use two foreign words/phrases. I was able to work in three. My Little One is a huge Doctor Who fan; therefore, the opening phrase was a no brainer. I think she enjoyed turning 11, because Matt Smith is her favorite doctor. She just finished reading her fourth Doctor Who media tie-in novel. I was talking to her about it this morning on the walk to the bus stop. The one she just finished was about daleks. She said it ended well not cheesy like the ending of the previous one with the Doctor and Clara visiting the U.S.
Luckily the school’s book fair is this week. She has already been and has new books to read. Her birthday – 13! is in ten days maybe it’s a good time to get a 5th tie-in novel. One week until it’s national poetry month. I began participating in napowrimo (link) in 2010. My efforts were then logged in at my gather page. 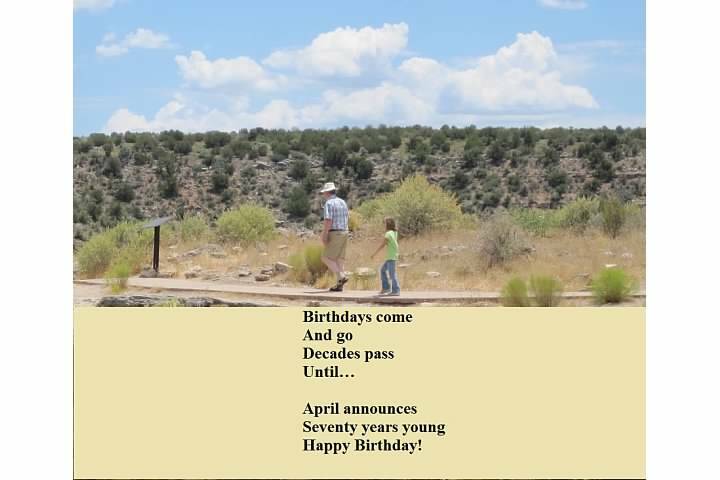 I skipped 2011 because it was my Dad’s 70th birthday and I wasn’t going to be around to write a poem each day. Shuffled off to Buffalo to surprise him. But I did go over to my daughter’s school and help teach poetry to her 4th grade class that year. Then I was back at napowrimo in 2012. Learned a new form – the double dactyl. I found it very interesting and was stubborn enough to get it right. My napowrimo attempt did not follow the form to the letter. But anyone who reads this blog has seen my success at following the form. 2013 I signed up again with my gather account. Gather decided to shut down April 25th. 😦 and didn’t start up again until the end of May! I did write 30 poems last year, writing more than one a day some days. But without accountability I didn’t finish the last three prompts. This year I signed up through this blog. Here is a preview of one of my poems from last year. April 4, 2013.
racing in front of a neutron star. April 4th also happens to be the Little One’s birthday. First year I didn’t write her a birthday poem on her birthday. Tomorrow. I’ll share the abecedarian I wrote on her 11th birthday. Once again High Calibre Poetry chose my acrostic as the WEEKLY winner. Thank you so much! This was the only poem I worked on the past week. One would think with the girls back in school, I would have been more productive on the poetry front. I kept telling myself the housework had to be on the front burner. In a little over a week, I’ll be waist deep in napowrimo. Here is a glossa I wrote last year for NaPoWriMo. Starting to focus on poetry in April again. It’s less than a month away. I wrote a poem for high calibre poetry’s theme sadness. But other than that, I’ve been focussing on getting my sick family feeling better. Germs started multiplying in my house the last week of February. And they are still not completely eradicated.